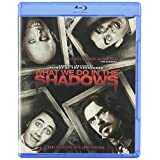 Posted on 15-06-22, in 4 Star, Movie Reviews and tagged Ben Fransham, Cori Gonzalez-Macuer, documentary, Jemaine Clement, Jonny Brugh, Mockumentary, New Zealand, Stuart Rutherford, Taika Waititi, What We Do in the Shadows. Bookmark the permalink. 2 Comments.